Almost as if on cue, the next day The Daily Beast published a story claiming that there were Russian boots on the ground in Syria, as well as large shipments of military materiel en route to Syria, including trucks and BTR infantry fighting vehicles. The article cited Turkish navy photos showing a Russian ship purportedly carrying the cargo, quite openly it must be said (more on this later). Naturally, the conversation in Washington instantly became about Russian intervention and the danger of Russia “destabilizing” the situation in Syria, an assertion that would be laughable if it weren’t so deeply cynical and hypocritical considering four and a half years of US-NATO-GCC-Israel intervention in Syria. 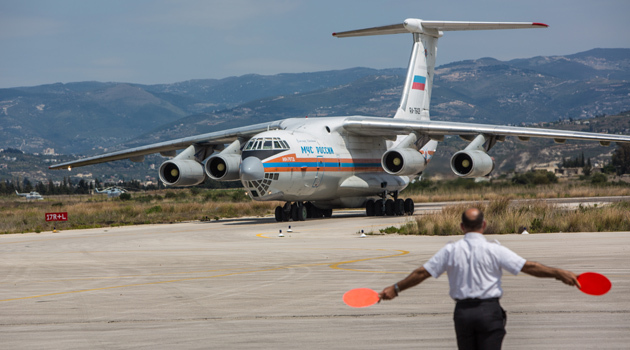 ...concerns about reports suggesting an imminent enhanced Russian buildup [in Syria]. The secretary made clear that if such reports were accurate, these actions could further escalate the conflict, lead to greater loss of innocent life, increase refugee flows and risk confrontation with the anti-ISIL coalition operating in Syria… The two agreed that discussions on the Syrian conflict would continue in New York later this month. A careful reading of this short, but important, statement should raise one obvious question: what does the State Department mean by “reports”? Specifically, the initial Israeli report was allegedly based on intelligence from key Western (presumably US) sources that would obviously have access to classified information. Were that true, then surely the State Department would be alarmed by the intelligence, and not the reports. In other words, the US military and government, with its vast surveillance and intelligence apparatus, knows perfectly well if a true Russian military buildup in Syria is really happening. Instead, the State Department focuses on the media reports, indicating that, rather than responding to intelligence, it is responding to a media story, one which is based entirely on information the US itself supplied. And, in true western corporate propaganda fashion, the reports have been built upon since then. There are now allegations that Russia is building “a huge 1,000 personnel compound,” and even a report from the decidedly dubious DebkaFile– an outlet notoriously close to Israeli intelligence which has published as much disinformation as credible information – alleging that the Russians have deployed a submarine loaded with 20 intercontinental ballistic missiles (ICBMs) and 200 nuclear warheads to Syria. All of this is an attempt to further bolster the narrative that Russia is the aggressor, attempting to escalate the conflict in Syria for its own purposes. Returning to the information on the trucks being supplied through the Bosphorous, as reported in international press, there is a painfully obvious question that must be asked; namely why Moscow would choose to initiate a covert military buildup but would transport the equipment openly, in plain sight of any naval intelligence or satellite imagery. Obviously, it is because Russia is not doing this covertly, but is merely continuing to supply the Syrian government as it has done since 2011. And that is precisely the point that Foreign Ministry spokeswoman Maria Zakharova made in a recent interview. She noted that, “We have always supplied equipment to them for their struggle against terrorists…We are supporting them, we were supporting them and we will be supporting them.” In other words, there is nothing secret about what Russia is providing to the Syrian government under its existing contracts. 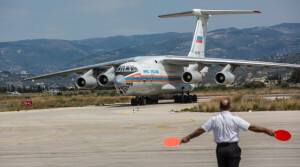 This is also in keeping with comments from Russian President Putin whoconfirmed what all serious analysts following the conflict in Syria already knew, that Russian advisers have been providing training and logistical support to the Syrian military. Of course, based on the hype in western media, one could be forgiven for thinking that Russia’s military had moved in and taken command of the war effort in Syria. In reality, Russia’s participation from a logistical and advisory perspective has been rather limited. Analysts with knowledge of the situation seem convinced that Russian participation is geared towards helping the Syrian government in the fight against terror groups such as ISIS/ISIL and Al Qaeda’s al-Nusra Front, and that the increased presence is clear evidence of Moscow’s commitment to anti-terrorism. This presents a complex quandary for Washington which pays lip service to counter-terrorism while simultaneously describing as “unconscionable” any effective counter-terrorism aid in the war. What is perhaps most interesting about the media coverage and comments from US officials about Russian moves being “destabilizing,” is the fact that since 2011 the western media has published literally thousands upon thousands of articles documenting openly the role of US military and intelligence, and its counterparts in NATO (including Turkey), Israel, and the Gulf monarchies, in arming and training fighters to wage war against the Syrian government (seehere, here, here, here, here, and here for just a tiny sample). Somehow these actions are not considered “meddling” or “destabilizing” to the conflict in Syria, while Russia’s alleged involvement is cause for international outcry. The obvious conclusion is that Russia’s aid to Syria has been critical in stymieing Washington’s regime change agenda, thereby necessitating an active propaganda assault to demonize Moscow’s moves both in regard to supplying and aiding Damascus, and its calls to form a coalition against the Islamic State and international terrorism. In effect, the media is working to caricature Russia as an aggressor in Syria in order to deflect attention from the fact that US efforts in Syria have failed, and that the US has no intention of effectively fighting the terrorism it continues to promote. The US-NATO-GCC-Israel axis seeks to continue the war on Syria using any means necessary, including continued support for terrorist factions such as the so called “Army of Conquest,” al Qaeda linked groups like al Nusra Front, and ISIS/ISIL. The ultimate goal is the collapse of the Syrian state and the breaking of the Iran-Syria-Hezbollah alliance, which would mean the final and permanent ejection of Russian influence from the region. Russia fully understands this strategic imperative for Washington, just as it knows that terrorism is the principal weapon being employed in the ongoing war. 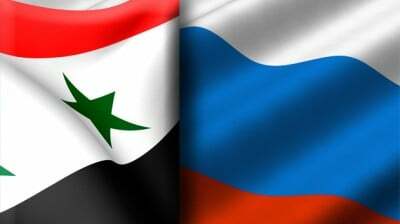 As such, Moscow has moved to bolster the Syrian government (Russia knows that the Syrian Arab Army is the most effective counter-terrorism fighting force) in order to provide it with the necessary aid to continue to destroy terrorist groups. Moreover, any additional Russian support in terms of advisers, increased shipments of materiel, and/or limited numbers of combat troops, provide Damascus with the physical resources necessary to wage the war. At the largest level however, Moscow is moving to call Washington’s bluff regarding the fight against the Islamic State, and terrorism generally. Putin knows that the US does not want to destroy ISIS/ISIL, but rather to manage its development in an attempt to steer it toward US strategic objectives. So, by proposing an international coalition to defeat ISIS/ISIL, Putin is essentially forcing the US either to admit that it is not serious about destroying the terrorist network, or that it will only do so under its own aegis, thereby exposing Washington’s motives as entirely self-serving, and rooted in the US hegemonic agenda for the region. But Washington will not simply allow Putin to outmaneuver it in terms of public relations. Instead, it reverts to the tried and true, and still remarkably effective, meme of Russian aggression. By portraying Russia as the villain bent on arming the “brutal dictator,” the US hopes to transform the discourse on Syria, moving from its own ghastly record of arming terrorists and seeking the destruction of the state, to Russia “meddling” in the conflict. Keen political observers shouldn’t be fooled by this sort of sleight of hand propaganda. But don’t tell the corporate media. They’re busy working overtime, parroting US-NATO talking points, rather than asking questions and seeking answers.